At thirty-seven, Irene Gleeson was a broken woman. Her marriage had crumbled, her children were out of control and she had spiraled into a deep depression. This all changed the day she walked into a small beachside church and encountered God. 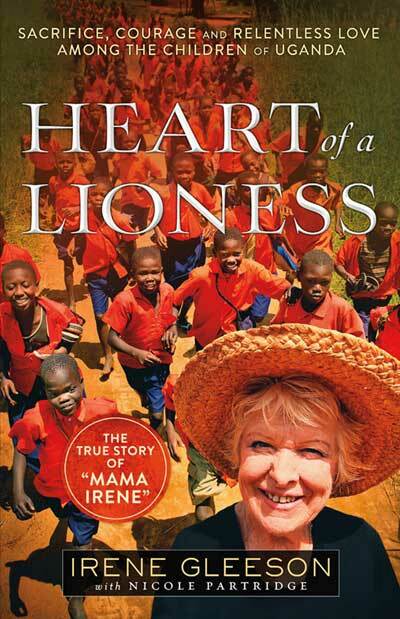 Ten years later, Irene was on a plane bound for Northern Uganda to rescue war-affected children. Armed with nothing but faith, courage and dogged determination Irene sold her two beach homes, said goodbye to family and hauled her tiny caravan 13,000 kms to Kitgum – at the time considered one of the most dangerous countries on the planet. Under the shade of a mango tree, “Mama Irene,” as she was known gathered the children of war and taught them to read and write by scratching letters in the dust. And then, for the next twenty-two years, together with the Ugandans forged a ministry that would transform the lives of thousands of child soldiers.